Everyone can enjoy the revitalizing and beneficial experience of a massage. Registered Massage Therapy is essential in rejuvenating the health of your body and mind and aids in stress relief, relaxation and the treatment of injuries. 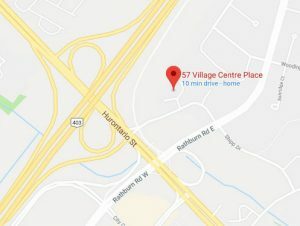 At Village Physiotherapy, our Registered Massage Therapist in Mississauga will take the time to review your case and collaborate with our other health care practitioners to develop an integrated unique treatment plan for each patient. Alleviate chronic pain and stress brought on by tissue or joint injury. Speed up recovery for any musculoskeletal injuries. Improve energy levels in sufferers of chronic conditions such as Fibromyalgia or Arthritis etc.. Prevent relapse of pain caused by repetitive stress injuries. Book an appointment now for a relaxing and healing massage therapy in Mississauga with one of our registered massage therapists!